Glen Hougan - "Product Hacking in the Home"
In the following interview, a "no sAge limit" designer talks with The Sage Companion Project about innovation in designs that can be empowering- regardless of age. In 2012, he received the first ever research fellowship in health care innovation from the Mayo Clinic Center for Innovation in Rochester, Minnesota. 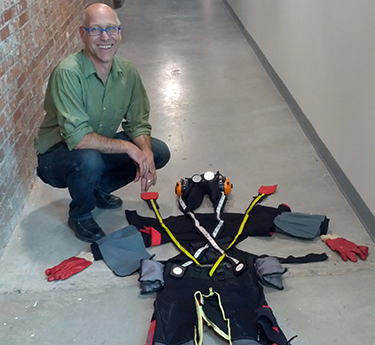 Meet Glen Hougan who teaches at NSCAD University in Halifax, and is a principal at Wellspan Research and Design. Having read the article, Do it Yourself Designs for Daily Living: how older Americans are reimagining household objects from soap to straws to make their lives easier”, we requested an interview with the fascinating GLEN HOUGAN. It follows. SAGE: Starting off- right away. What is your best advice for vanishing outmoded stereotypes of aging, older adults – who may be subject to ‘age-grading” more than others? GLEN HOUGAN: Always have a Perspective-Taking attitude. Be careful about looking at chronological age- chunking people into certain age groups such as “boomers”- Every group is so diverse. How do you introduce that idea to people- and especially your students? GLEN: I assign students a real life research project- that is heading out with a set of research questions to interview their grandparents. This is a practical method for gaining a better and real idea of individual preferences- and the narratives associated with choices. 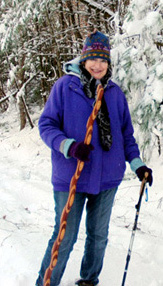 "Which would you rather have- an aluminum cane or a Walking Stick? An aluminum walker or a Nordic Walker?" SAGE: So - getting perspective on how people feel about things and their environment...? GLEN: Yes. It’s about focusing on ability, not on disability- - Rebranding in this way can also be helpful for designers and future designers. In assessing their grandparents’ homes, the issues students discover there, in creating remedies becomes more immediate. SAGE: Could you give us a quick run-down on a few innovative product designs that might come out of face-to-face talks? GLEN: Right. If you don’t go into the context of where people live, you don’t understand it. So we are looking to support what works- let’s take PETS, for example, and products around pets who you are looking after- There can be “soft interventions” where systems are created for keeping pets longer- and we know from research about the positive aspect of older people carrying on with pets. SAGE: AWESOME! What a great area to investigate. So, in terms of “empowering adaptations” as a designer you might get a better sense of relevant, applicable and innovative products. What might this involve? GLEN: A recipe for maintaining a healthy life – involvement- caring for others (such as pets)- interaction, self-management and collaboration. For example, we would collaborate with older people when designing a medication management system. SAGE: People change things to better meet their needs. People are adapting things because the design works for them. You use the term “product -hacking”- could you tell us a little more about that? GLEN: Maybe you have seen this example of “product-hacking”- tennis balls on walkers. They may look “cute”- but tennis balls on walkers are IN-elegant solutions. Being “cute” what message do they convey- and is it ageist? Walker ski-gliders might be a better choice. SAGE: SO! Age-grading can be lurking in an IN-elegant tennis ball. 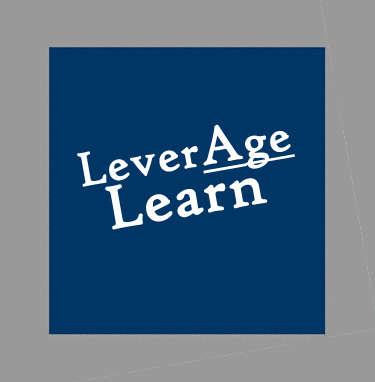 Could you tell us about your research on age-grading and ageism? SAGE: What are some “elegant” personal and home adaptations that might also work across generation? GLEN: As part of our work with the Mayo Clinic, we have been considering this. Here’s one- “soap in a stocking”- it is stretchable, re-washable, water goes through it, and it meets a lot of needs- so it could be an ‘elegant” solution- for kids, parents and grandparents. SAGE: Let’s say our readers were to explore design innovation. What are some questions we would want to ask? GLEN: What is the culture? What gender is using this? What part does fear play in influencing perception? 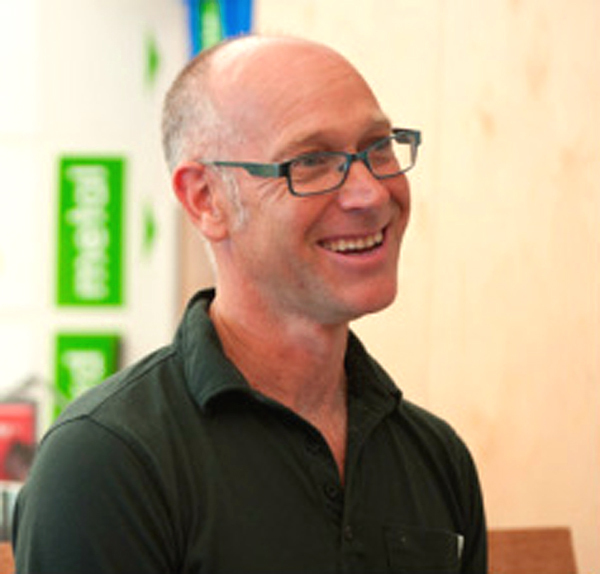 Glen Hougan focuses on design thinking as a strategic tool. A principal of Wellspan Research and Design, in 2012, Glen received the first ever research fellowship in health care innovation from the Mayo Clinic Center for Innovation in Rochester, Minnesota. SAGE: What do you see as a central issue? SAGE: How do you see this unfolding? SAGE: What is your focus? GLEN: DESIGNING FOR DIGNITY. We are interested in Life Course as a determinant for planning design- designing for a person, designing for a group. The Pew Research Study looked at Perceived Age versus Chronological Age and provided interesting insights. So in Designing for Dignity we would want to look at a product or an environment in terms of would we want to use this if we HAD to use this- would this fit into my life? We would start from the place of what we can all understand. What if I had lost___ “XYZ”__ what product would I like? We would consider aesthetics and pay attention to cultural references. SAGE: There is so much more to talk about! But our time is up! May we revisit soon? GLEN: I’ll look forward to that.